Now with 20 all-new write-ups! 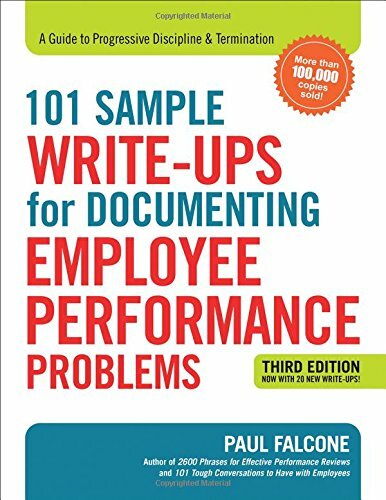 With a focus on getting employees back on track, each sample document includes an incident description, a performance improvement plan, outcomes and consequences, and a section for employee rebuttal. Whether you're addressing an initial infraction or handling termination-worthy transgressions, this trusted resource ensures every encounter remains clear, fair, and--most importantly--legal.